One of Ducati's best loved mascots is back: the Cucciolo cuddly toy! 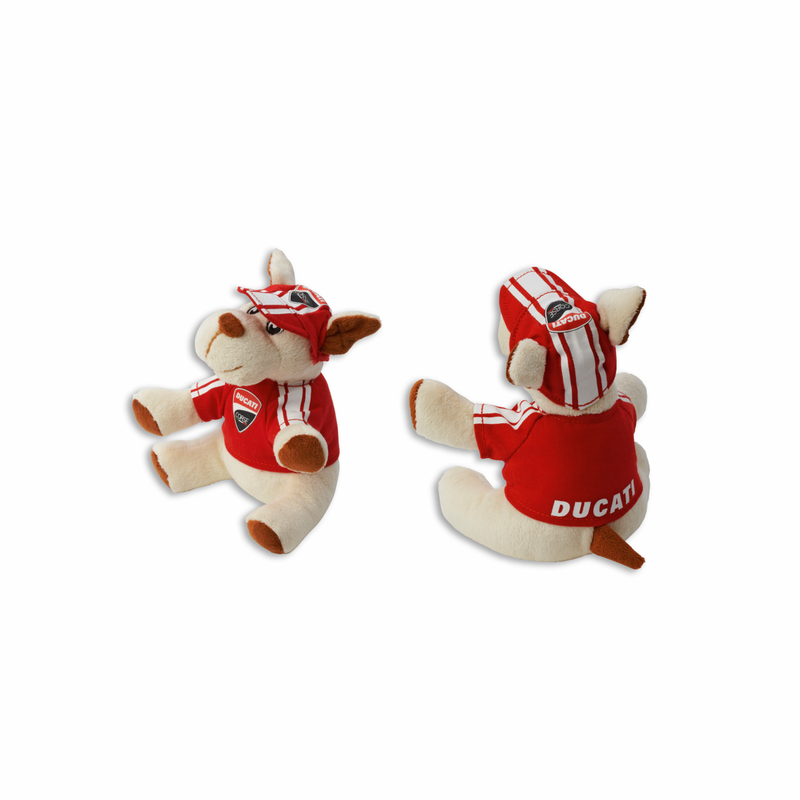 Soft and with a sweet expression, this cuddly toy in the form of a puppy wears a Ducati Corse branded T-shirt and cap. A cute travel companion for all of your little 'puppies'. Dimensions: height 15 cm (also available in 25 cm format).